Pain, bloating, headaches, migraines, bad moods, cravings for sugar, back ache, tearfulness, flooding, diahorrea, spots, hot flushes, just some of the commonly experienced problems that occur for women around the time of their period. We live in a fast paced unrecongnisable world from the one 2500 year ago when Chinese medicine was developing theories on the menstrual cycle. Today we may be able to buy aps for them, stop them, miss them, but in the long run the monthly cycle is still there. By listening to it, following it, paying attention to it and changing habits accordingly it can become a part of life that isn’t so cumbersome and dreaded. By doing it well it can contribute to our health and well being. We have 500 0f the bloody things (no pun there) over a lifetime so surely it’s worth getting them right? A common choice is pain killers or taking a contraception. This works for many and long may thayt continue. But some women don’t want to take pills or hormones, they feel bonkers enough. Many just suffer through it, are glad when it’s done, forget for a few weeks and then dread it as the time comes around again. In chinese medicine, problems at period time and with periods is a sign of underlying imblance and gives clear indications to the health of that woman. Therefore clear signals mean clear approaches to improving the problems. 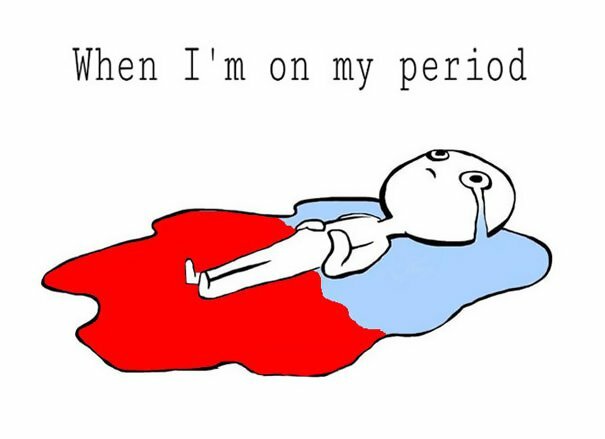 In clinic problems with periods are one of the best and most successful problems I treat. Women often come for a condition unrelated to their menstrual cycle but report that this is an area that has changed and changed for the better since having regular treatment. With so many women suffering so needlessly I want to encourage more to try acupuncture to get it right and stop it being a monthyly grind. As well as having acupuncture there are some good rules from Chinese medicine to follow that can help with even looking at a needle. Don’t sleep ALL day but while you are on your period your body is loosing some of it’s vital energy. You need to balance this with plenty of rest to not over tax the body. So give yourself a break from the gym, stop running for a few days and definitely no hot yoga or swimming! Use it as a time to go to bed early and catch up on your sleep. Sugar is usually the first port of call when pre menstrual and when the period starts. It’s hard but it has to be avoided, it wreaks havoc on the rising and falling of blood sugar, massively contributes to feeling bloated and slughish. Try, try, try to replace with natural alternatives honey, fruit, apricots, dates. I know! Easier said that done but try cutting out processed sugar from your diet and you’ll be amazed how the peaks and troughs and cravings for food deminish.During your period it’s all about the eggs. A great food to replinsh all the energy you’ll be loosing. Plenty of warm drinks and stay away from the alcohol, the sugar alone will do you no favours. Just before periods women are often hot and can often sweat. Drinking alcohol puts heat into the body and therefore makes the feelings of rising heat worse and dehydrates the body and skin. It was only after having children I actually started to write down when my period started and taking note of this on a regualr basis. It works wonders for planning ahead, checking if any irregularities are occuring and knowing why you may be feeling slightly unhinged. If you’re wanting to get pregnant it’s essential to know you’re cycle and when it’s your fertile time.